Oklahoma Connection | Moorman came briefly to Chickasha and then to Jet, Oklahoma Territory, as a physician in 1901. Lewis Jefferson Moorman was born in Kentucky and attended Georgetown University before graduating from Louisville School of Medicine in 1901. His early practice alternated among post-graduate studies at New York Polyclinic Hospital, the University of Virginia, and the University of Vienna. He came to Jet, Oklahoma, at the age of 26 to begin his practice in family medicine and moved to Oklahoma City in 1907. He launched a sanitorium program at N.W. 22nd Street “that made medical history for a third of a century” and was the first institution for the treatment of tuberculosis in the state. He opened the Moorman Farm Sanitorium on N.W. 50th Street in 1923 and continued until the property was sold in 1947. 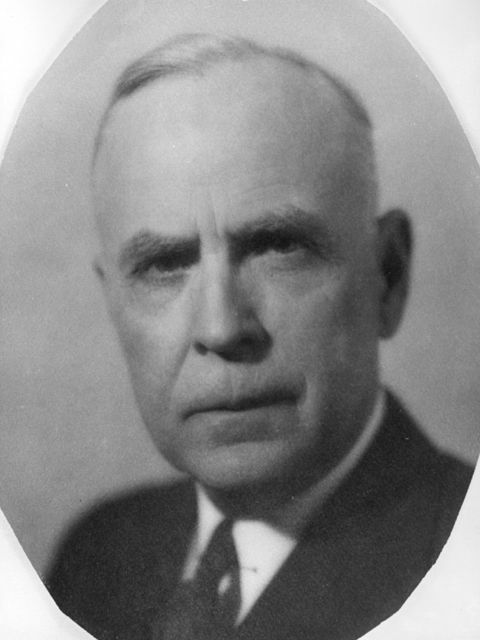 Dr. Moorman was Dean of the University of Oklahoma School of Medicine and a member of the faculty for twenty years. He edited two medical publications and was president of the Oklahoma County Health Association for twenty nine years. He was also the author of several books including his wonderfully detailed autobiography Pioneer Doctor (1951). See pictures of Lewis Jefferson Moorman and other media HERE.